1In a large non-stick skillet, cook ground round and onions over medium-high heat until meat is cooked through and onions are golden brown. Drain off fat and return meat to the skillet. 2Add water, taco seasoning, and dry noodles to skillet. Cook over medium heat, stirring frequently, for about three minutes. 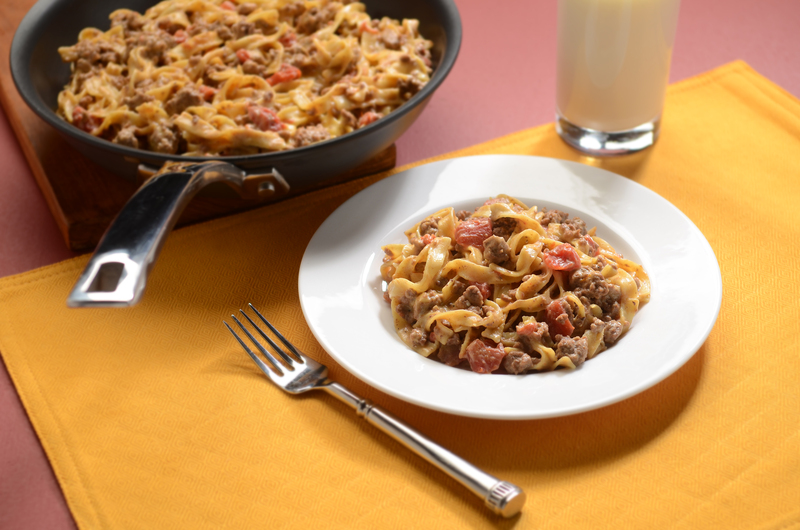 3Add spaghetti sauce to skillet and continue cooking for about four minutes, stirring frequently. 4Sprinkle with shredded cheddar cheese and other desired taco toppings.